There are regularly discounts available to senior citizen and small youngsters. Discover by contacting your nearest pool in New Jersey. These are the Indoor Pools in New Jersey other users have reported. Are you a local and your pool is not listed? Contact us to ADD IT. It's totally free! Traveling to New Jersey? This can be the proper spot on the net to discover places to swim in New Jersey. Each day you are not swimming you're losing precious time to boost your skills a be a better swimmer! No more excuses!. Are you a typical swimmer? Do you visit the identical Swimming Pools? Please check that all the details for your aquatic center are correct and make contact with us when you obtain any mistake. Are you on holiday and need to preserve fit and wholesome? 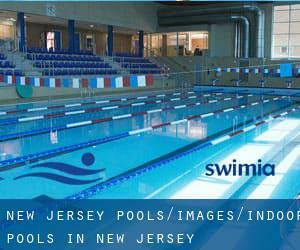 Swimia.com offers you the easy and quickest option to locate pool near New Jersey. We presently have the following Indoor Pools in New Jersey, but we are always grateful for any corrections or contributions. Get in touch via our make contact with type. Without a shadow of a doubt, swimming in Paterson will be the greatest approach to unwind right after work. Take a couple of minutes to browse Swimia's catalog to find a Swimming Pool in Paterson. Swimming is actually a outstanding idea to keep your body active for the duration of your visit to Newark (New Jersey), or even in case you are a local. 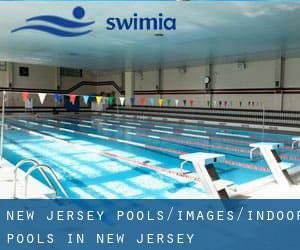 Swimia assists you to locate your closest Swimming Pool in Newark. Whereas Elizabeth is one of the six most populous cities in New Jersey with nearly 124.969 residents, you shouldn't miss that one if you're going to New Jersey. Holding an estimated population of 247.597, Jersey City is one of the most important cities in New Jersey. Check all the Swimming Pool in Jersey City and its surrounding region. Updated on 2019 3 Nelson Dr. , Medford , NJ , USA (Postal Code: 08055). Among all the activities offered by the center, when you are interested in swimming you will enjoy 25 meters x 30 feet, 4 lanes, Indoors. If you should get in touch with this Swimming Pool, email address and phone number are both number. Updated on 2019 1170 Spring St. , Elizabeth , NJ , USA (Postal Code: 07201). Swimmers like you reported 18 yards, Indoors. Unfortunately we do not have the e-mail address of this Swimming Pool, but we can give you the phone number. Updated on 2019 140 E. Hanover St. , Trenton , NJ , USA (Postal Code: 08608). Swimmers like you reported 20 yards, Indoors. Phone number and e-mail address are number for this Pool. Updated on 2019 100 Grant Avenue , Deal Park , NJ , USA (Postal Code: 07723). This sports center gives 25 yards, 6 lanes, Indoors. For this Swimming Pool, only phone number is number here. Updated on 2019 41 John F. Kennedy Pkwy. , Short Hills , NJ , USA (Postal Code: 07078). Swimmers like you reported 50 feet, Indoors. Unfortunately we do not have the email address of this Pool, but we can give you the phone number. Updated on 2019 4701 Stelton Rd. at S.R. 287 , South Plainfield , NJ , USA (Postal Code: 07080). Swimmers like you reported 20 yards, Indoor/Outdoor. Unfortunately we do not have the email address of this Swimming Pool, but we can give you the phone number. Updated on 2019 400 Paramus Road , Paramus , NJ , USA (Postal Code: 07652). This sports center provides 25 yards x 45 feet, 6 lanes, Indoors. Updated on 2019 321 S. Livingston Ave. , Livingston , NJ , USA (Postal Code: 07039). Swimmers like you reported 25 yards x 35 feet, Indoors. Unfortunately we do not have the email address of this Swimming Pool, but we can give you the phone number. Updated on 2019 118 Headquarters Plaza , Morris Ave. and Washington Ave. , Morristown , NJ , USA (Postal Code: 07960). This sports center offers 22 yards, Indoors. For this Swimming Pool, only phone number is number here. Updated on 2019 16 E. Main St. , Moorestown , NJ , USA (Postal Code: 08057). Swimmers like you reported 20 yards x 20 feet, 4 lanes, 3.5 feet - 9 feet depth, Indoors. Phone number and e-mail address are number for this Pool. Updated on 2019 100 Boardwalk at Virginia Avenue , Atlantic City , NJ , USA (Postal Code: 08401). This sports center offers 25 yards x 35 feet, 2.5 feet - 5 feet depth, Indoors. For this Pool, only phone number is number here. Updated on 2019 411 E. Clinton Ave. , Tenafly , NJ , USA (Postal Code: 07670). Among all of the activities supplied by the center, if you're considering swimming you are going to take pleasure in 25 meters, 6 lanes, Indoors. Just in case you want to contact this Swimming Pool just before dropping by, we only know the phone number. Updated on 2019 2641 Kennedy Boulevard , Jersey City , NJ , USA (Postal Code: 07306). Among all the activities provided by the center, if you are considering swimming you can expect to take pleasure in 25 yards, 8 lanes, Indoors. Just in case you would like to make contact with this Swimming Pool just before dropping by, we only know the phone number. Updated on 2019 1088 West Whitty Rd. , Toms River , NJ , USA (Postal Code: 08755). Few days ago a typical user of this center told us they offer 25 yards x 45 feet, 6 lanes, Indoors. Furthermore, they keep in good conditions 25 yards, 12 lanes, Indoors. Contact information and facts for this Swimming Pool just like phone number and email address are number. Updated on 2019 700 South Main Street , West Creek , NJ , USA (Postal Code: 08092). Among all the activities offered by the center, for anybody who is considering swimming you will enjoy 25 yards, 5 lanes, Indoors. Just in case you need to make contact with this Swimming Pool before dropping by, we only know the phone number.